Unfold the previous two folds. Prepare to valley-fold the left-half in half. 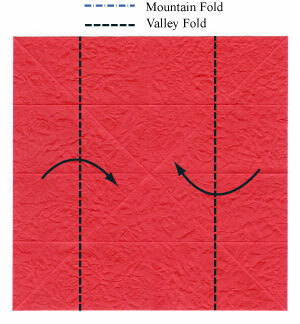 Prepare to valley-fold the right-half in half. Apply the valley-fold of the step #11. 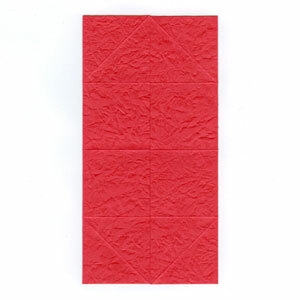 Prepare to unfold these two folds.